Why Use Cindy Campbell Business Consultants? Our aim is to work along side our clients to aid them to achieve their goals. We implement systems and processes that are aligned to those goals and to provide work-life balance by allowing our clients to have a stress-free break from their businesses. We liken your business to a wheel – with the elements of your business, the spokes. When all the elements of your wheel are strong and equally addressed, then your business will roll along smoothly. At CCBC, we understand that the way to get your business to roll along smoothly is to combine procedure manuals, staff training and a well documented and frequently referred-to business plan. When you have mastered these elements, you are free to be the entrepreneur you set out to be. You get an unbiased third person with whom you can sound out your challenges and goals. Your advisor also helps you stay committed and accountable for your goals. It is important that you, the business owner, honour yourself. Having regular holidays allows you to come back refreshed and with renewed passion for your business. Most importantly you gain a person whose sole purpose is to see your business succeed. 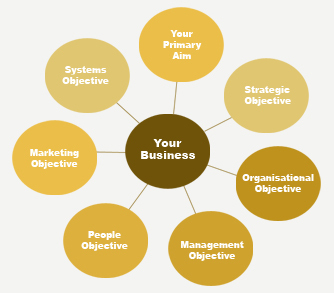 We provide Effective Business Strategies, Prudent Advice, and Real Value to Your Business. Call us today on 0419 992 522 to see how much value we can add to your business. “Attracting quality employees and training them is easier if there is evidence of a systematic approach to business"
"The true product of a business is the business itself"
Can Your Staff Answer the Telephone Correctly, and present the right image for your business?